The Vancouver novelist and comedian on writing Property Values, a comedic novel about modern life on the West Coast. Charles Demers is a Juno Award-nominated comedian and author. 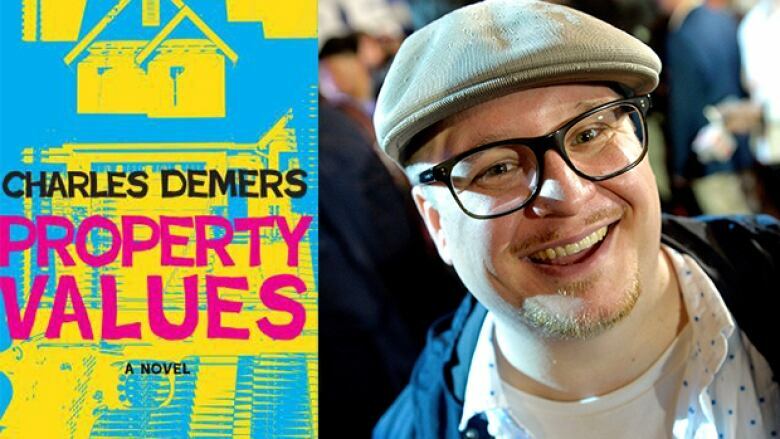 His crime novel, Property Values, uses comedy to explore themes of urban gentrification, gang violence and the challenges of purchasing a new home in the modern world. He connected with Shelagh Rogers for a chat about why the book should hit home for Canadians who own, or are looking to own, real estate. "Coquitlam is, as I describe it in the book, the place where the suburbs really begin in earnest in Vancouver. It's a proper suburban life of chain restaurants and strip malls. I wanted to set the story there because it's also been the place where the vast majority of gang violence in Vancouver has taken place over the last few years." "The main character, Scott, and his friends decide that the only way to lower the property values of the house and lower the asking price into something he could possibly afford, or at least delay the sale, would be to stage a drive by shooting on the property. Scott has keyed in to the fact that certain code words get used in newspapers — phrases like 'known to police' or 'not cooperating with police' basically telegraph something shady is going on. "He figures if he can shoot up his own house and then refuse to cooperate with police in the investigation, the word will get out that he's doing something shifty there. No one will want to buy the house." "I wanted to look at the sense of home in a city that constantly feels like it's going to be ripped out of your hands. Everyone in Vancouver feels like if they're not about to be pushed out, someone who they love will be, some restaurant that they love is about to shut down, or some bookstore that they love is about to go under. It's become this impossible city."